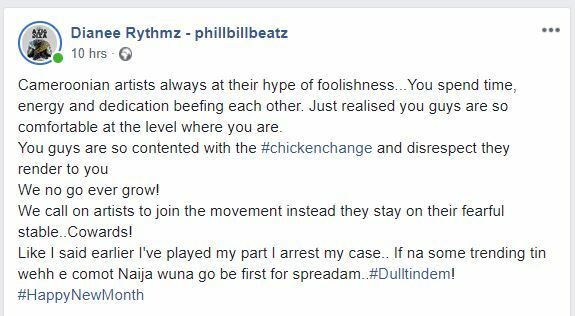 Famous music producer and artist, PhillBillBeatz, from the group Rythmz is calling out Cameroonian artists for their cowardice and fear to fight for their rights a musicians. 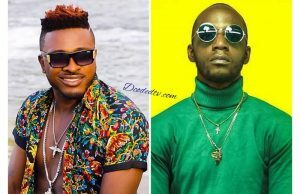 Dianee PhillBillBeatz is claiming that Cameroonian artists have succumbed to fighting among themselves instead of doing something positive for the growth of the industry. 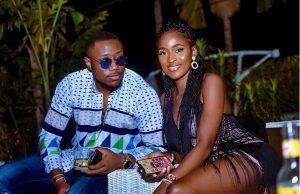 In a recent Facebook post [April 1], the popular music producer and singer is accusing artists of being contented with little achievements/successes and would do nothing to stand up for themselves when disrespected or bullied by the powerful business men and women in the industry. His recent social media outburst is coming only a day after he launched the ‘No To Artist Exploit’ campaign; claiming record label owners and entertainment businessmen/women should stop exploiting artists off their creative rights and royalties via trashy contracts. He also blames most artists for sealing their lips in fear of been blacklisted. 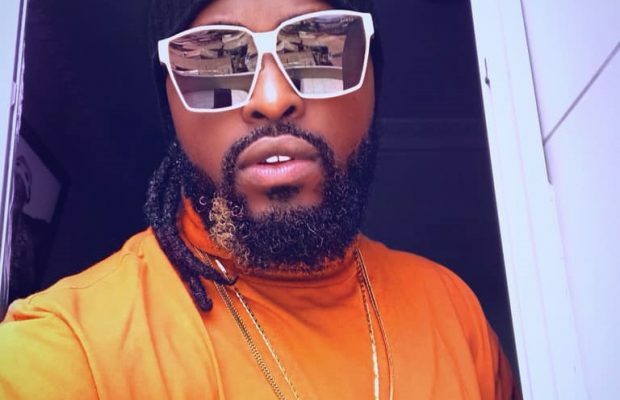 PhillBillBeatz‘s call for artists to ditch timidness and boldly confront any obstacle to their growth as musicians comes amidst reports that his music group, Rythmz is asking for an early exit from a 5 year contract with their label, Empire Company [owned by Pit Baccardi]. They have spent only two years with the label. An insider tells us the group claims the label hasn’t respected the terms of the contract. “The label is yet to do what the group asked for when they got signed two years ago. They don’t see money or profits from their creative work and concerts… Their videos are yet to land on Trace Urban, to say the least. They have the right to leave while they can. I think this is a great idea,” explains the source. We will be keeping tabs with this story, stay with us.